I can't believe it took me so long to read this book. I've had it for months and it's just been sitting there languishing. I could kick myself now. 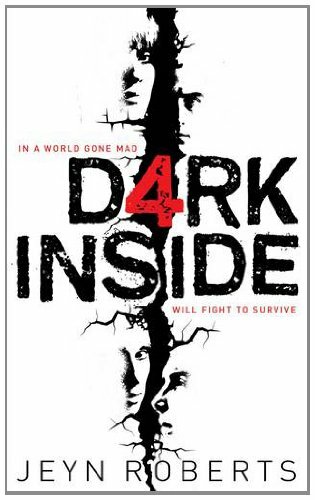 This book was fantastic and I found myself completely sucked in. It took me no time at all to finish this story because it was fast-paced, action-packed, exciting, and just plain awesome. There were quite a few characters in the beginning, but after the first few chapters, there are really only 2 to 4 characters in the story, and they carried the whole thing beautifully. The two main characters, Deuce and Fade are awesome hunters, and their interactions together are interesting, suspensful, and even romantic. These are people who have grown up in underground tunnels, believing that the world above is pretty much destroyed and uninhabitable. And they both have to go to the surface. They are brave, skilled fighters, and they need all those skills for what's awaiting them. The progression of the love story was pretty much perfect for me. Nothing was rushed, nothing was forced. No insta-love here. It was a slow and careful progression that really kept you interested and kept you rooting for them. 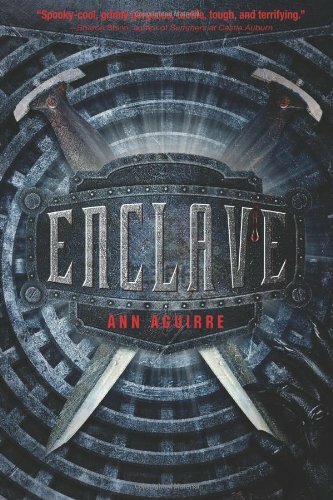 The post-apocolyptic world that Ann Aguirre has created here is scary, dangerous, and suspensful. I was on the edge of my seat the entire time. She is a skilled writer, excellent with pacing. I can't wait for the next installment of this story. I'm definitely hooked.